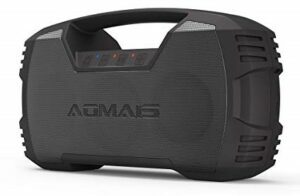 If you go by the design of AOMAIS GO Bluetooth speaker, it looks a little big when compared to most of the Bluetooth portable speakers out in the market. But it is very lightweight (just 0.5lbs) and portable. This wireless speaker is available in multiple colors: Black, Red and Blue. 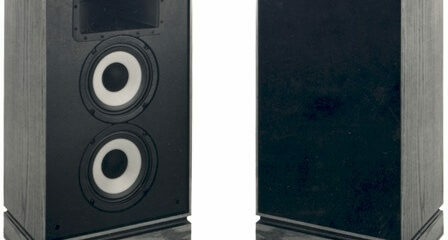 You will get 30W sound with two 15W speaker embedded in the AOMAIS GO speaker. You can connect this wireless speaker to your music device either via Bluetooth or even via 3.5mm cable which comes with this speaker itself. Overall, AOMAIS GO is a really good Bluetooth portable speaker. 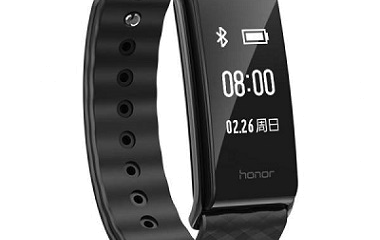 You can do handsfree calling as the company has provided the built-in microphone in the speaker. The best thing about this speaker is that it can play music for a long time in a single charge. Approximately, it can play up to 30 hours at 60% volume level in a single charge and it only takes 3 to 4 hours to completely charge. Apart from these specs, AOMAIS GO is waterproof, so you can take it out of your home without worry.